You will get your coin right away. 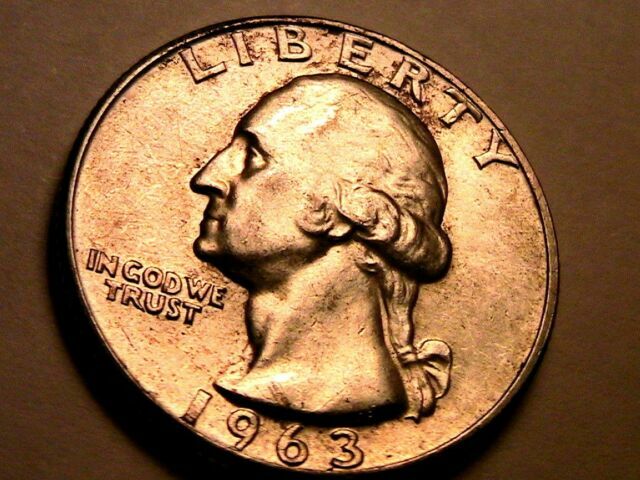 The mintage was very high, 74 million coins, and this date is one of the more common in the silver Washington quarter series in Gem condition. item 1 1963P AND 1963D Washington QuarterS FV TO AU BOTH COINS FOR $9.99 SEE PICS! -1963P AND 1963D Washington QuarterS FV TO AU BOTH COINS FOR $9.99 SEE PICS! this product is becoming very rare by the day. Very glad to have one.